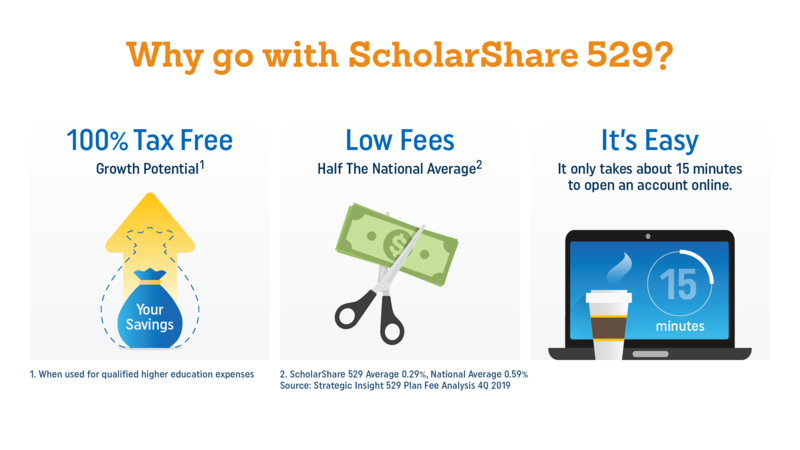 Speak to a ScholarShare Workplace 529 representative. 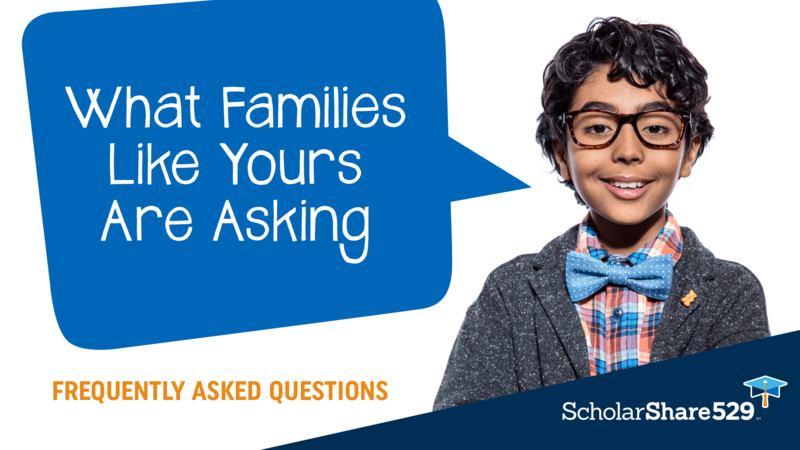 FAQs: What families like yours want to know. 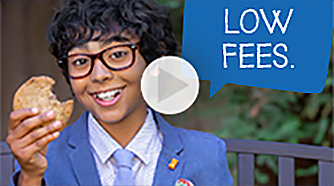 Our customer phone centers will be closed after 3 PM PT on Friday, April 19, 2019. We will be open for normal business hours on Monday, April 22. 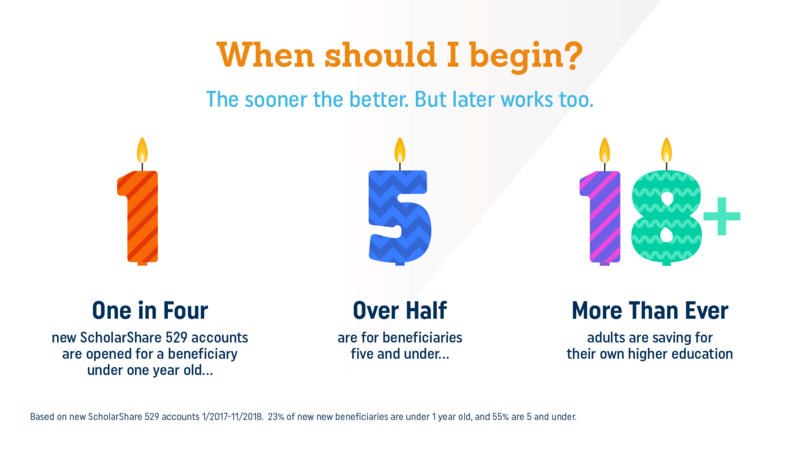 Find out about the plan benefits, how it works, the tax advantages, and how the funds can be used. 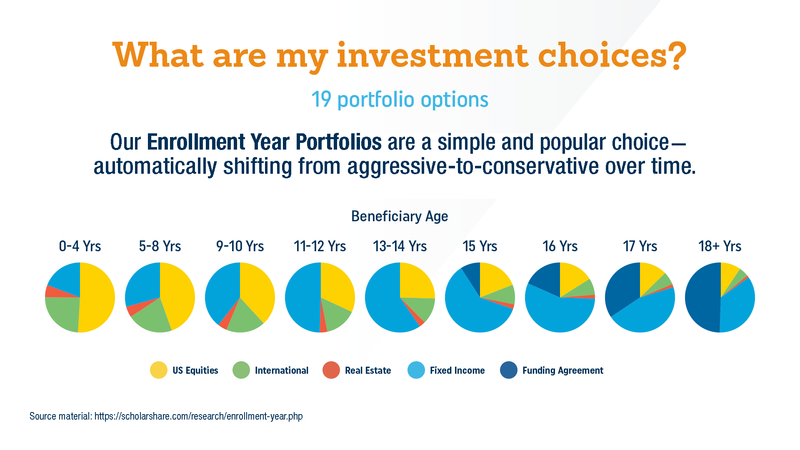 Choose investment portfolios that fit your life-stage and goals, including age-based options. 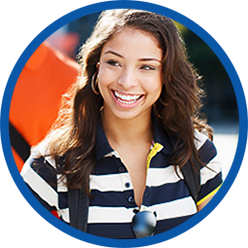 Open your ScholarShare account today and start out on the path to saving for college. 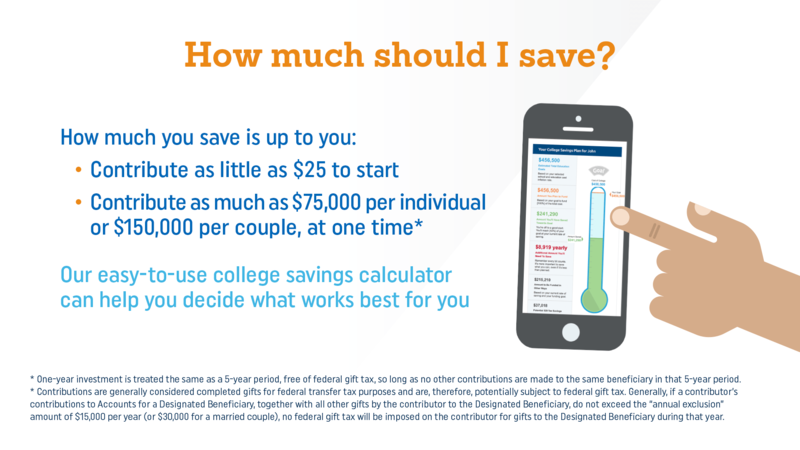 There are a few simple steps you can take to help plan for your loved one’s future. 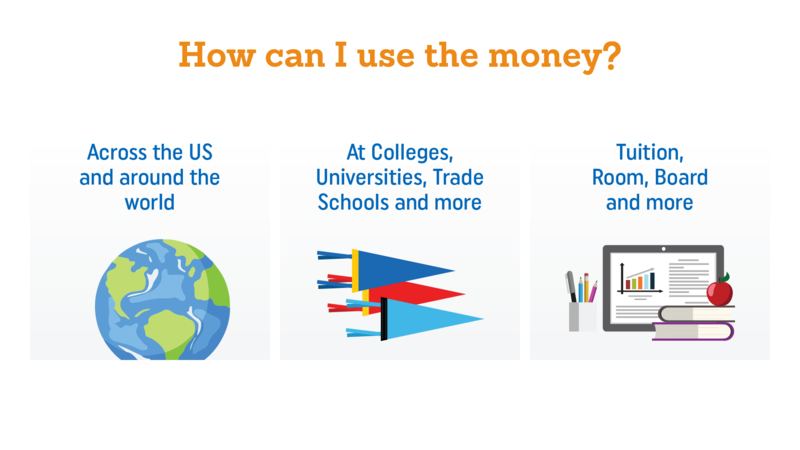 There are so many ways ScholarShare can help you reach your college dreams. 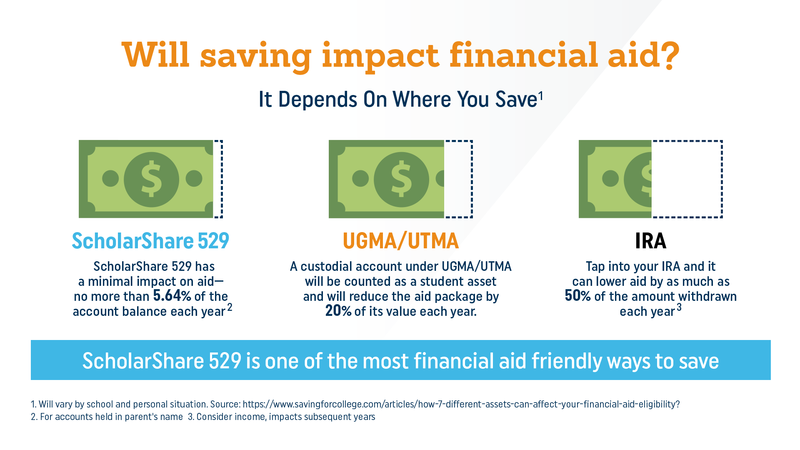 Helping your employees and clients save for college helps you too. 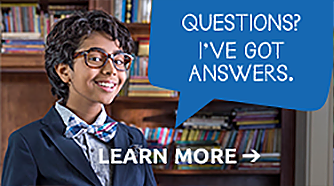 Schedule an appointment with one of our college savings consultants to discuss your college savings questions. 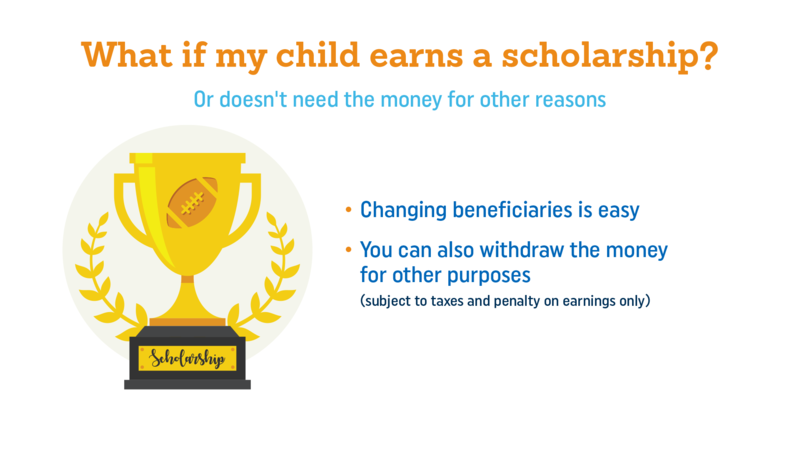 Consider the investment objectives, risks, charges and expenses before investing in the ScholarShare College Savings Plan. 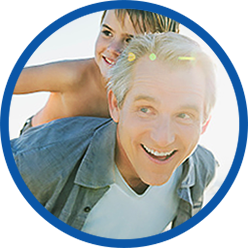 Please call toll-free 1-800-544-5248 or click here for a Disclosure Booklet containing this and other information. Read it carefully. 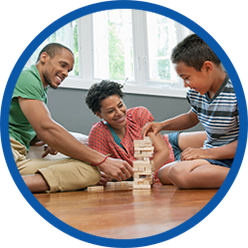 Investments in the plan are neither insured nor guaranteed and there is the risk of investment loss. 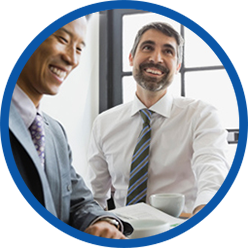 Consult your legal or tax professional for tax advice, including the impact of the new federal tax changes. If the funds are not used for qualified education expenses, a 10% penalty tax on earnings (as well as federal and state income taxes) may apply. 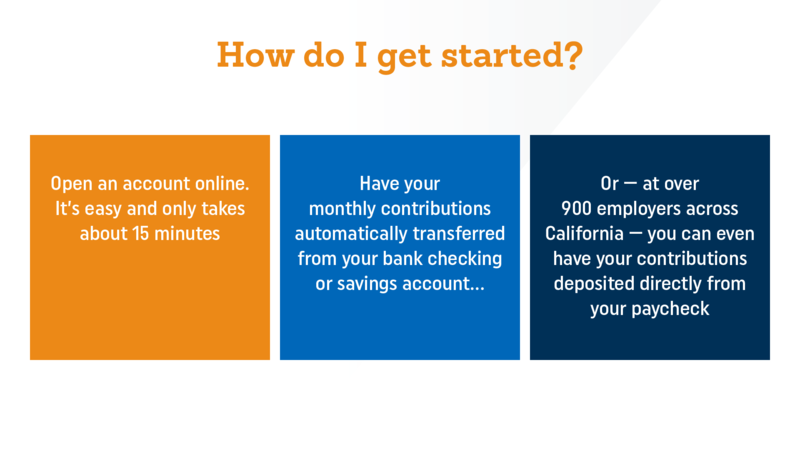 Non-qualified withdrawals may also be subject to an additional 2.5% California tax on earnings. 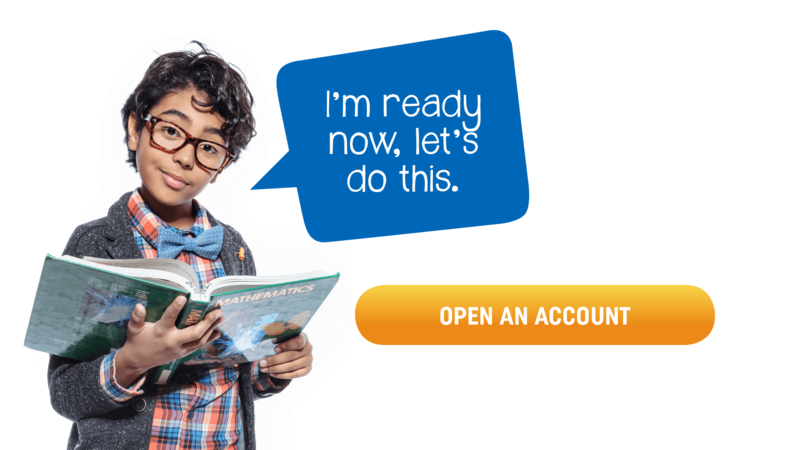 The ScholarShare College Savings Plan is offered by the State of California. 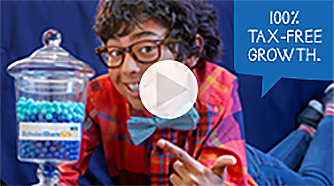 TIAA-CREF Tuition Financing, Inc. (TFI), program manager. 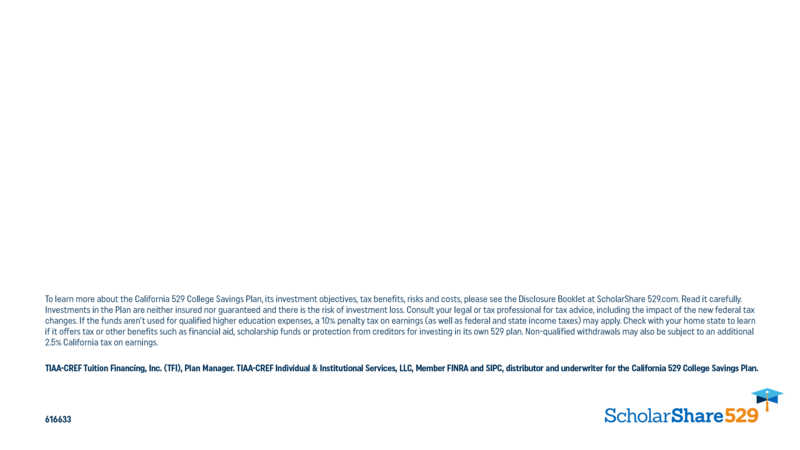 TIAA-CREF Individual & Institutional Services, LLC, Member FINRA and SIPC, distributor and underwriter for ScholarShare College Savings Plan. All social media platforms are managed by the State of California. 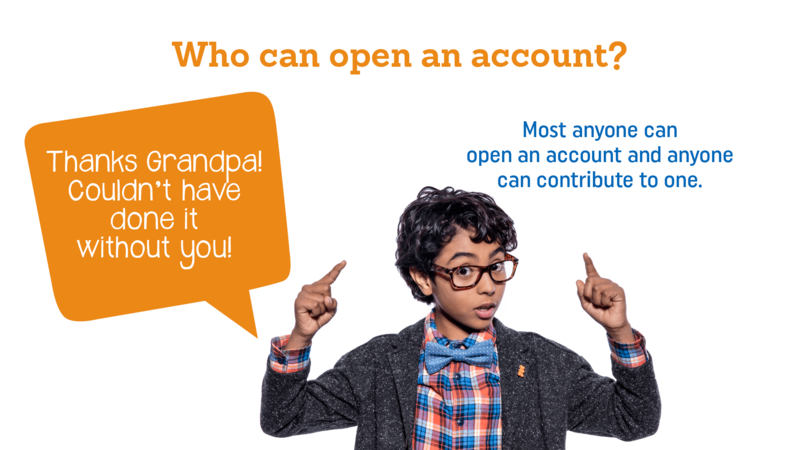 Open an account with as little as $25.